GREEN BAY, Wisconsin – It’s not a stretch to say customers entrust lives to Titletown Manufacturing LLC’s ability to execute precise grinding operations of metal shafts and plates. Titletown Manufacturing’s skilled craftsman use proven technology and experience to grind a wide range of custom parts for customers throughout Wisconsin and the Midwest. These parts include items as specialized as the helicopter shafts that anchor the craft’s rotary blades. Titletown Manufacturing’s equipment includes O.D. (outside diameter) grinders and I.D. (inside diameter) honer capable of achieving tolerances as tight as .0001 of an inch. Outside diameter capabilities reach 14 inches, with lengths up to 120 inches. In addition to grinding a wide range of cylindrical objects with the O.D. and I.D. 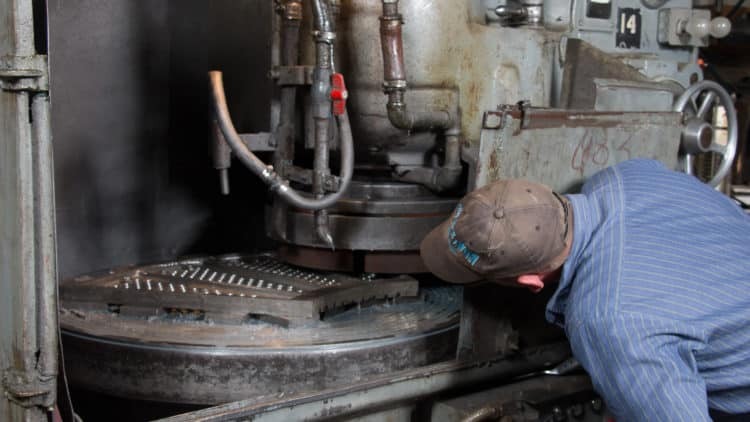 grinders, Titletown Manufacturing teams use a Blanchard surface grinder to produce precise steel and stainless steel plates up to 42 inches in diameter. Titletown Manufacturing LLC, a trusted metal fabrication shop with more than 60 years of experience in producing high-quality components and providing metalworking, machining metal parts and fabrication solutions for a wide range of industrial customers throughout the region. The company employs approximately 30 people at its facility at 1252 Marine Street in Green Bay, Wisconsin. GREEN BAY, Wisconsin – Titletown Manufacturing LLC relies on the consistent performance of Mazak Corporation equipment in machining metal parts for customers throughout Wisconsin and the Midwest. The Green Bay, Wisconsin-based company has the capability of machining parts in a variety of materials, sizes and in quantities ranging from small runs to production runs. 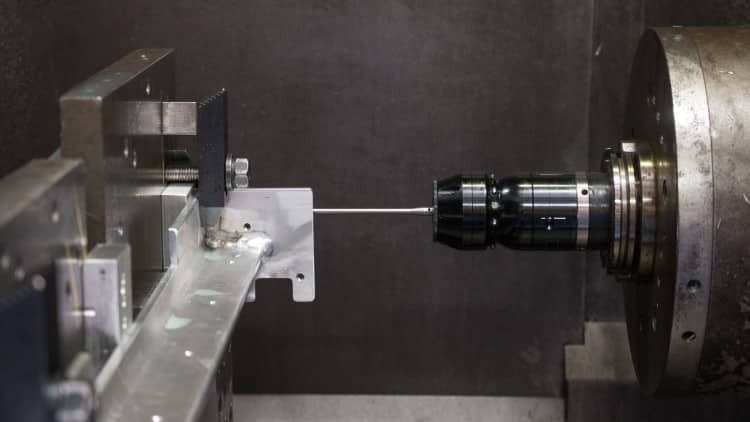 Titletown Manufacturing’s CNC (Computer Numerical Control) technology enables machining of turned parts up to 19 inches in diameter and 80 inches in length. Titletown has the capability of producing vertical milled parts as large as 24 x 70 inches and horizontal milled parts up to 40 x 40 inches. The Mazak machines handle an assortment of materials, including steel, stainless steel, aluminum, plastic, brass, bronze and others. Titletown Manufacturing’s shop supervisor uses Mazacam and Mastercam offline software to create programs for new parts. The company’s machinists are trained to make adjustments to programs as needed on each machine. Titletown Manufacturing LLC, a trusted metal fabrication shop with more than 60 years of experience in producing high-quality components and providing metalworking, machining and fabrication solutions for a wide range of industrial customers throughout the region. Titletown Manufacturing employs approximately 30 people at its facility at 1252 Marine Street in Green Bay, Wisconsin. For more information on machining metal parts, Titletown Manufacturing or to request a quote, please go to http://www.titletownmanufacturing.com/or call 920-435-9074.